Last year I decided to take a leap of faith and move from Boston to San Francisco, not knowing anyone. Nearly 25, I thought to myself, when would there be a better time to disrupt my life and explore a new adventure? So, I packed up my bags and went for it. I am happy to say that leaving my home in Beantown and venturing out to the unknown West coast has been the best decision I’ve made for both my personal life and professional career. I’ve landed my dream job managing events at Marketo, checked things off my bucket list (think: traveling internationally and running a multi-activation event at SXSW), and I have forced myself outside of my comfort zone on numerous occasions. (It’s when we really get uncomfortable that we grow, right?). I loved it. 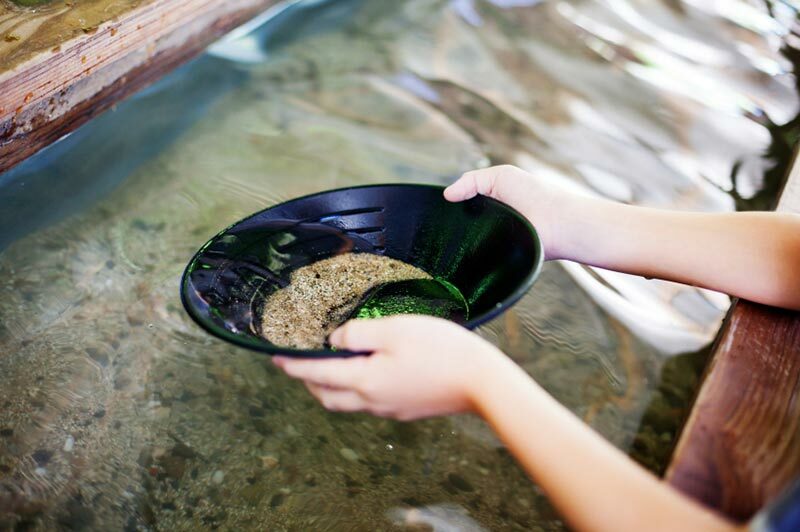 Gold panning is an interesting activity and takes dedicated time and patience as well as some creativity. When you’re panning for gold, you find a spot near the bedrock and start digging. You then use a sifter to get rid of the big rocks in order to get down to just sand. You then go through about three more steps (that I won’t bore you with here), and eventually you may find a speck or two of gold (cha-ching!). However, even after all that work, you may not find any at all (whomp, whomp). You then move onto another spot and try again. So, how does my gold panning experience relate to you, my fellow marketers? I’m glad you asked. I encourage you to think about your marketing programs—and specifically in this case, your marketing events program—in the same way that one would pan for gold. In recent times, our industry has seen more and more events pop up right and left—it seems like every company and organization is putting on a show now. But with this volume, how do you weed through the haystack and pinpoint the ones that your company should actually have a presence at? Some of these new events may be a good fit for your company, however with others, you may not find the gold you were looking for. If you’re like me, you’ve already begun planning your event roadmap for 2016. As a starting point, make sure that you review event data that has accumulated over the past two years. Run that analytics report! This is the foundation of determining how you can be successful going forward. Assessing your year-over-year return on an event will tell you if the events that you are consistently participating in are truly working…or if they’re not. Determine the ROI. If your a B2B marketer, evaluate how many opportunities were created. Are these events generating pipeline better than other events? Then conclude whether they are really “must-attends.” If not, scratch them off the list and start digging somewhere else. With enough research and assessment, I’m sure you’ll find that gold you’ve been looking for. Vidyard’s Space Camp – October 6th – 7th – San Francisco, CA | How to build a strong video marketing program and incorporate it into your overall marketing strategy. B2B Content2Convergence – February 15th – 17th – Scottsdale, AZ | Pairing killer content with a demand generation program that delivers results. Marketo’s Marketing Nation Summit – May 9th – 12th – Las Vegas, NV | The Marketing Nation Summit is a gathering of marketers who are defining the future of marketing. Join us to chart your course to becoming Tomorrow’s Marketer today. Content Marketing World – September 8th – 11th – Cleveland, OH | Build an innovative and exciting content marketing program for your company. Learn how to differentiate your company from your competitors through your content. Are there any golden opportunities missing from this list? Let me know in the comments below! The post 2016 Marketing Events That Will Shine as Bright as Gold appeared first on Marketo Marketing Blog – Best Practices and Thought Leadership.